It will take strong leadership and a calm set of heads for the New Zealand team to successfully tackle the challenge posed by the FIFA U-20 Women’s World Cup in France next month. As captain and a senior international, Malia Steinmetz will have a big role to play in setting that tone and now has an increased set of skills to help her do so. The 19-year-old joined all other captains from the nations in the FIFA U-20 Women’s World Cup earlier this month in Russia, where they took part in a workshop aimed at inspiring future female leaders. The ‘Captains of Today, Leaders of Tomorrow’ workshop is part of FIFA’s piloting of a new female leadership programme and brought together each captain, as well as six young referees representing the Confederations, to help develop their leadership skills, both on the field and off it. “It was a really great experience,” Steinmetz says. “It was amazing for us to be there and meet all the other captains that are going to be at the World Cup because we wouldn’t usually talk to them. It was great to talk and discuss ideas on how we wanted to be and lead our teams. It was all about how to create a safe environment in a team and building strong relationships because that’s one of the main things about performing well,” she adds. After showing huge promise as a youngster, Steinmetz was thrust into the international spotlight when included in the Football Ferns squad for the 2017 Cyprus Cup at just 18. She did not make her debut at that tournament but has remained in the Ferns fold ever since, gaining valuable insight into football at the highest level on a tour-match tour of the United States last September before making her first senior international appearance in a 5-0 win over Thailand two months later. The Forrest Hill Milford United player added a second cap to her name by again coming off the bench in a 3-1 loss to Japan in Wellington last month and – combined with her international experience at age-group level, which includes the 2016 FIFA U-17 Women’s World Cup – those Football Ferns credentials made her a favourite to receive the U-20 captain’s arm band. Coach Gareth Turnbull, who closely monitors the progress of Steinmetz and many other U-20 squad members through the Future Ferns Domestic Programme (FFDP), duly obliged by handing her the honour and Steinmetz is looking to grow into her new-found status as a leader. The chance to add to her leadership skillset through the FIFA workshop was therefore gratefully received but her memorable time in Russia wasn’t just restricted to the whiteboard. 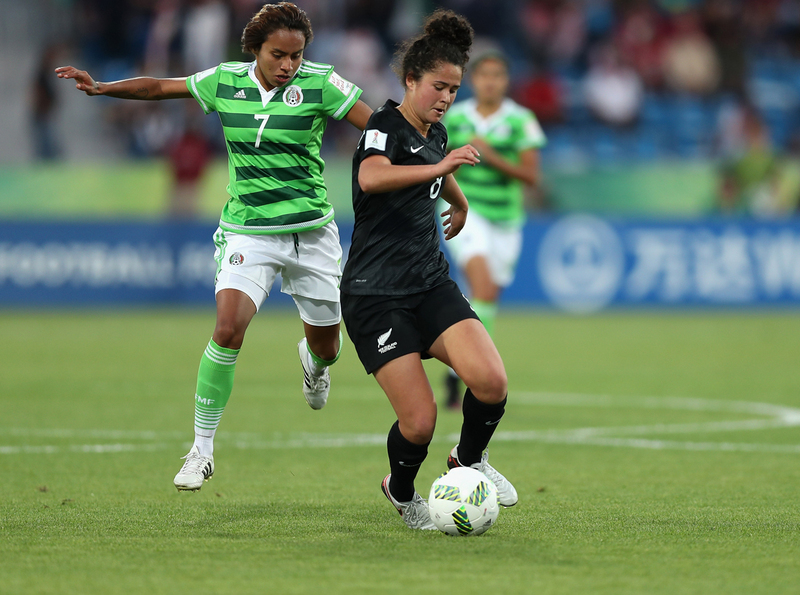 Having witnessed such top-class action first hand, Steinmetz can’t wait to kick off her own World Cup, which will begin for the New Zealand U-20 women with a clash against the Netherlands on 6 August. The Kiwis will go on to meet hosts France on 9 August before wrapping up their Group A campaign four days later against Ghana. “The preparations have been going well, our time in camp has been really good and all the girls are pumped. We’ve done a lot of bonding, we were already quite bonded but we’ve definitely reached that next step now. We’re feeling like a close-knit unit and are really looking forward to getting out there and showing what we can do,” the skipper says.